“When I started Social Fabric last January, I was feeling a bit lost in my scientific career, and I was looking to do something that would create more meaning and a sense of community purpose. Fabrics and clothing are such a big part of our daily lives, and yet, we often don’t really think about what went into our clothes before we put them on each morning. For me, Social Fabric has been about bringing together a group of intelligent, creative, and diverse women (mostly), into a setting where we can not only learn new skills, but brainstorm about how we can create meaningful change. What better way to get the creative juices flowing than get together to make clothes? This is an occupation as old as the human race, and something that requires so much skill, knowledge, creativity, and tradition. At the time, my flatmate worked at the university hospital and gave therapy to refugees who have been subject to war and torture. I told her that I would (eventually) like to incorporate refugees into my project idea, and sooner rather than later, we made this happen. 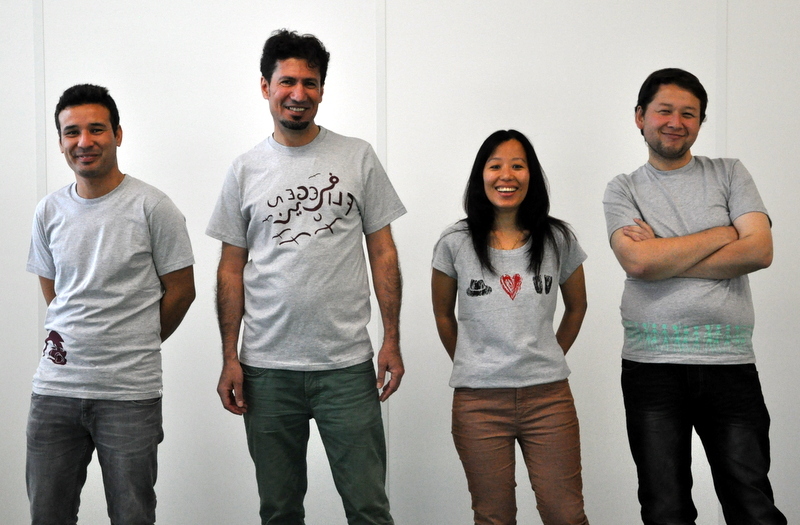 At the beginning of last summer, Social Fabric started a pilot project during which we hosted a series of workshops on product development and design for refugees and as a result we developed a series of refugee-designed t-shirts, each of which has a story behind it. 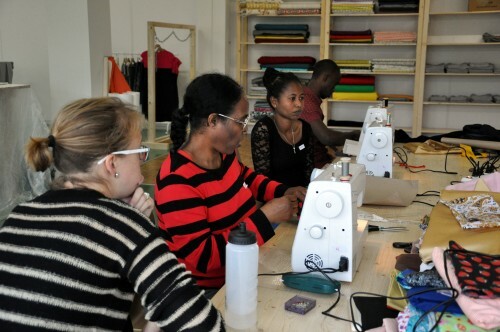 We are continuing to offer drop-in sewing sessions every Thursday morning from 9-12pm to the group of refugees that we got to know (as well as their friends), and we are further developing our project so that refugees can earn an income through the sale of the products that they develop at Social Fabric. I am so happy with the way things have evolved in such a short time, and I have a really big vision of where things could go in the future. The textile and clothing industries are so dirty and socially irresponsible and there is so much room to do things differently. At the same time, I am convinced that businesses really have the power to drive change, not only at the global level but within communities. I am confident that five years from now, Social Fabric will be a great example of a business that creates huge impact, not only in the area of environmental sustainability, but also in terms of community building and social change.